Heal from your most common health concerns with an evidence-based recovery program. If you’re struggling with an ongoing health issue - such as back or neck pain, migraines, eczema, insomnia, digestive problems, or a host of other common concerns - you probably wonder if you’ll ever feel truly healthy again. Fortunately, there is a powerful, medically proven strategy that can help. 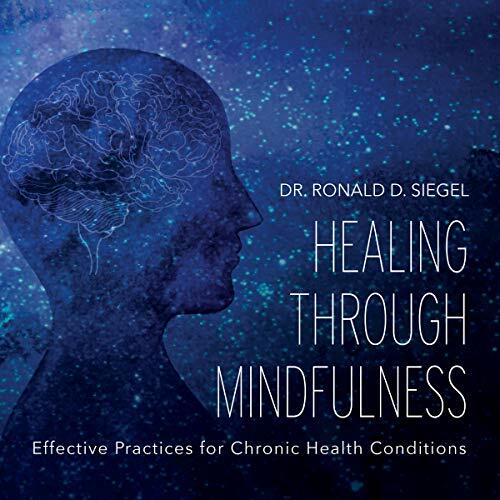 In Healing Through Mindfulness, pioneering mind-body psychologist Dr. Ronald Siegel presents a revolutionary program for harnessing the power of mindfulness practice to help you heal from chronic health conditions and embrace your life once again. You might have more power to heal than you think. Did you know that clinical studies show that there are usually no notable structural differences between those who report ongoing back or neck pain and those who don’t? That the vast majority of all physician visits are for stress-related conditions? Or that stressful jobs are more often associated with physical pain than labor-intensive ones? While any chronic health condition can result from medical reasons alone, current research shows that a remarkable amount of pain and illness is actually caused or maintained by psychological factors such as stress, fear, and anxiety. This turns out to be good news because it means you have the power to become your own healer. Mindfulness has been clinically proven to be a powerful tool in resolving chronic health conditions - without negative side effects or expensive medical bills. Go beyond symptom management, and get back to your normal life. In this six-session training course, Dr. Siegel guides you through a proven recovery program, teaching you a variety of mindfulness practices along the way. You’ll discover how to restructure your beliefs around where your pain comes from, learn to work with negative emotions, and begin to enjoy normal activities once again. If you’ve tried almost everything and you’re still not getting better, Healing Through Mindfulness might be just what you need to finally get your life back. It seems that many of the approaches to chronic pain come from Dr Jon Sarnos life work and i feel it would be good for the author to acknowledge this, given that the mindbody approach is still on the medical fringe.